4. 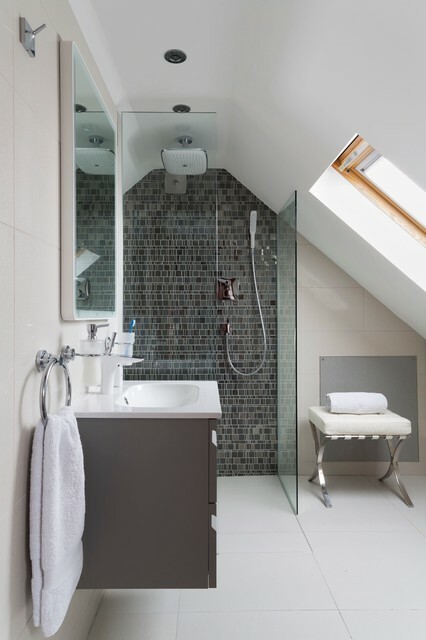 … Or just a showerIf space is particularly tight or if the room is narrow (1 metre or less) or has a sloping roof, consider dispensing with a bathtub and having just a shower instead. A shower won’t take up as much room as a tub and you can squeeze one into the most awkward of spots. Tip: To make a small ensuite feel larger, lay the same floor tile across the entire area, including the shower recess.